Diversity is the one true thing we all have in common. Each one of us is totally unique. As I am writing this I am remembering a pair of silly socks one of my children had growing up. It had a little stick figure hanging upside down with the quote “Normal Is Boaring”, and I truly believe the world is certainly a more beautiful place because of our differences. Why then are there so many people who spend so much time and energy forming “hate groups” showing great animosity, hostility, and malice against people who act differently, or believe differently than they do? I can’t help but wonder what is behind that? Could it be because they are that insecure in their own lives that they fear differences are contagious? Do they think that living beside someone who believes or acts differently then they do, may cause them to one day wake up mysteriously acting like and following the beliefs of their neighbors? Or are they so inclined to influence and rule the lives of their children and grandchildren that they feel the need to make everyone else in the world act and believe as they do so there is never a possibility that their child will ever stray from what they feel is the proper way of life? I sometimes like to ponder things such as this in other areas of our lives to get a different view. I live near the Amish community. I often will park near the buggy hitch and go over and pet the horses and talk with the Amish individuals. One day as I was talking to a friend we began to wonder, when they all meet and go to church do they ever come out and take the wrong buggy home? What if the world we live in required that we all drive exactly the same vehicle? I truly do not think I would do well with this. I recently was driving a white rental vehicle. My day was quite busy and a little stressful. I came out of the store and tried to get into two wrong vehicles before I finally found the one I came in! What if we all had to where the same outfit, or if we wanted a pet and the only pet we could get was a Black Labrador? I choose to believe that we all were created with beautiful unique qualities, physical abilities, and likes and dislikes. We need to celebrate our differences and learn to accept and respect each other. 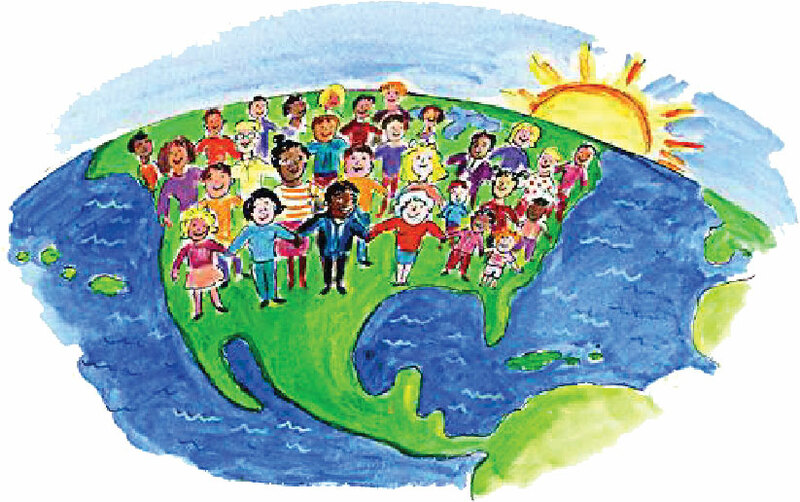 Most certainly the world would be a better place if we all began understanding each other. We need to move beyond simple tolerance and embrace and celebrate the rich dimensions of diversity contained within each individual.